Since 2015, Poland has experienced a steady year-on-year increase in real estate investment volumes. However, last year saw a significant leap in investments, an increase of nearly 40 per cent on 2017. Poland’s resulting status as the leading investment destination in the CEE is set to continue into 2019 and beyond, with a number of plans for new policies and infrastructure further increasing Poland’s appeal to investors. Plans in place for large-scale infrastructure improvements, include a Central Communications Port – set to become one of the globe’s largest and best-connected airports, and a Central Logistics Hub for the country’s postal service, which will significantly bolster the country’s e-commerce industries. Consequently, Poland’s logistics market is moving from strength to strength. Thanks in part to the country’s location at the confluence between East and West Europe, this real estate class has also been boosted in recent years by significant investment in the country’s road network, which remains the primary mode of transport. Whilst the logistics market is performing well, it is office space that are commanding the highest levels of investment – with the volume invested in this sector reaching EUR 2.75 billion last year. 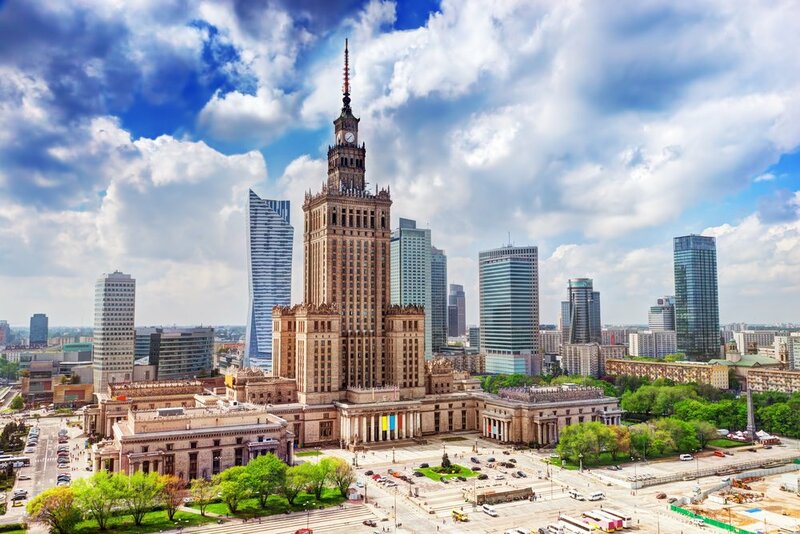 Warsaw continues the represent the best performing city, with 67 per cent of capital invested in Poland’s office space coming into the capital, across a total of 28 transactions. A significant increase in capital value was noted in Non-Central Warsaw in 2018, with price per square metre increasing by 72 per cent on the previous year. As a result, the index has returned to its standard value, following the fall in 2017, largely as a result of the acquisitions of secondary buildings. Last year also saw a new record breaking high for the volume of office space transacted in Warsaw, a total of 858,000 square metres, including deals with global companies such as Deloitte and WeWork. If you are interested in finding out more about investment opportunities in Warsaw, please contact the Real Asset Partners team on info@realasset.com or 020 3167 3380. City Moves for 20 February – who’s switching jobs at Reed Smith, Aprirose and Real Asset Partners? Real Asset Partners London LLP is an English limited liability partnership registered in England and Wales, under registration number OC389577. Real Asset Partners London LLP is authorised and regulated in the UK by the Financial Conduct Authority under authorisation number 772562. Real Asset Strategies Ltd is an English limited liability company registered in England and Wales, with company number 11797289.